It’s no secret that comic fans can be overly protective of their beloved characters. Whenever a new Hollywood adaptation is announced, fandom gears up to obsessively peruse every aspect of the production. From casting to costume designs to the most minor story details, some fans will accept nothing but 100% fidelity to the source material. Anyone truly familiar with both comics and films knows this to be an unreasonable request as they are two completely different mediums with different requirements. Still, the passion of said fans is more than understandable as it often comes from a place of love, or so we’d like to think. Sometimes, the obsessive nature of fandom reveals prejudice and bigotry. Kenneth Branaugh’s upcoming adaptation of Thor, quite surprisingly (or not) has become a lightening rod (pun very much intended) of controversy as of late. 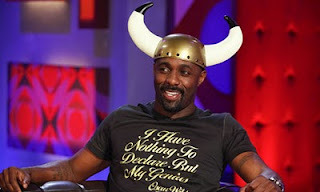 The casting of Idris Elba, an African American actor, as Norse God Heimdall has drawn the ire of a certain portion of the comic's following. 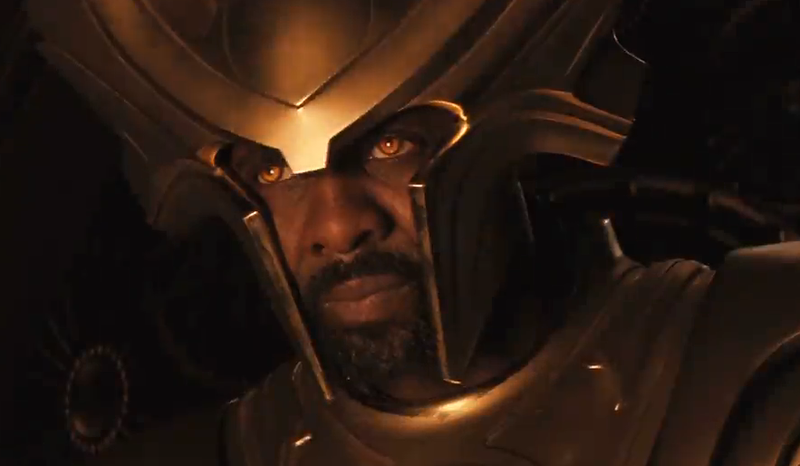 In the comics, as in Norse mythology, Heimdall had always been portrayed as white. For whatever reason, the makers of the Thor movie decided to take a different direction when casting the character. Now, this could be dismissed as nothing more than typical fanboy bitching if not for the obvious racial component. 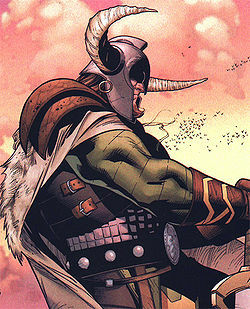 By all accounts, Heimdall is a minor character in the comics. All the rest of the Norse Gods, including Thor himself, will be portrayed by white actors. This is apparently of no consolation to obsessive fanboys, who have recently had their sentiments echoed by the unlikeliest of organizations. The Council of Conservative Citizens has quite publicly taken issue with the casting of Elba. The Missouri based organization is categorized as a hate group by the Southern Poverty Law Center. Judging by the rhetoric found at Boycott Thor, a petition site that the council is either advocating or running, that categorization doesn’t seem too far off the mark. They characterize Marvel itself as an extremist left wing organization that advocates black power and launches attacks against the tea party movement. I’m usually not a fan of recasting traditionally white characters as black (or vice versa). When it was announced that Donald Glover was interested in playing Spider-man, I was less than ecstatic. As an avowed Spider-man fan, I don’t need to see his skin color changed so I can relate to him better. I already relate to him. His story speaks to me just fine despite the fact that I am black and he is a white guy from Queens. I would much rather see characters that were originally conceived as black headlining there own films. Better yet, I’d love to see black comic creators come up with new characters and ideas for comics and screenplays. Both are viable alternatives to re-imagining white characters as black in my book. That being said, this kind of obsessing over a minor supporting character is clearly rooted in racism and irrational fear. Depictions of black men in power have traditionally been problematic for racists, and now we have a black man being cast as a Norse god. Search the mythology of any ancient culture and you are unlikely to find anything more powerful than a god. Had Elba been cast as a mere human in the Thor universe, I wonder if the Council of Conservative Citizens would be nearly as concerned. Their site also takes issue with the Marvel comics character the Black Panther, which they obviously see as conveying a reverse racist ideaology. It seems that they not only have problems with black men being cast as Norse gods, but as leaders and rulers period. For the above mentioned reasons, I have decided to put a moratorium on my negative feelings toward this type of casting. The Facebook page for the council of Conservative Citizens has 150 fans. Such organizations, and those who support them, deserve to have their cages rattled if only to expose the irrationality that drives their hatred. They fear a racially integrated world where minorities have a place in mythology and on movie screens. Idris Elba is a capable and talented actor, and his role in Thor is first step in ensuring that he does not remain relegated to heartthrob status. I wish him all the best, and I hope that his detractors die a slow death when the opening weekend box office receipts for Thor are tallied. More Power To You Brother Elba! *Thanks To Devin Faraci over at Badass Digest for bringing this my attention. Idris Elba is actually an English actor. He just happens to have "cross the pond" appeal and success. But yeah, much ado about nothin. I'm black, and if they'd made Thor black, then yeah, we'd have an issue. But a bit player gettin a skin treatment? Really?! THAT'S what they're up in arms about?! When they stop portraying Jesus as White, I'll advocate for increased fidelity in the casting of Comic Book characters. Peace. Very well written. Congratulations. We should remain alert about people that want to use the entertainment industry as a tool to spread hate. You are well balanced between a comic/movie fan and a citizen.